Mottisfont Abbey (National Trust) is a country estate set in the Test Valley in Hampshire. The historic property at its centre was founded as an Augustinian priory in 1200 but has sustained a great deal of remodelling in its long life. It was following the dissolution of the monasteries, when Henry VIII gave the abbey to William, 1st Lord Sandys, that the property became a country home. This project concentrates on the house’s final major restructure, beginning in 1934, when the Russell family moved in. Maud and Gilbert Russell and their two sons, Martin and Raymond, were the last family to treat Mottisfont as home. Maud gifted the estate to the National Trust in 1957, finally moving out herself in 1972. As far as possible, it is through their eyes, most particularly Maud’s, that the National Trust visitor views the property today. Maud was a well-known patron and lover of the arts, and through her vision and drive Mottisfont became the home of a fashionable and influential artistic circle. Artists, musicians and writers came for long weekend parties and were inspired by Mottisfont’s past to make works for its future. Maud’s friend Derek Hill later left a significant collection of early 20th-century art to Mottisfont, including works by Degas, Seurat, Bonnard, Sutherland and Nicholson. Maud's children grew up with a firm sense of the value and importance of the arts, and it is from the activities of her youngest son Raymond that our project emerges. 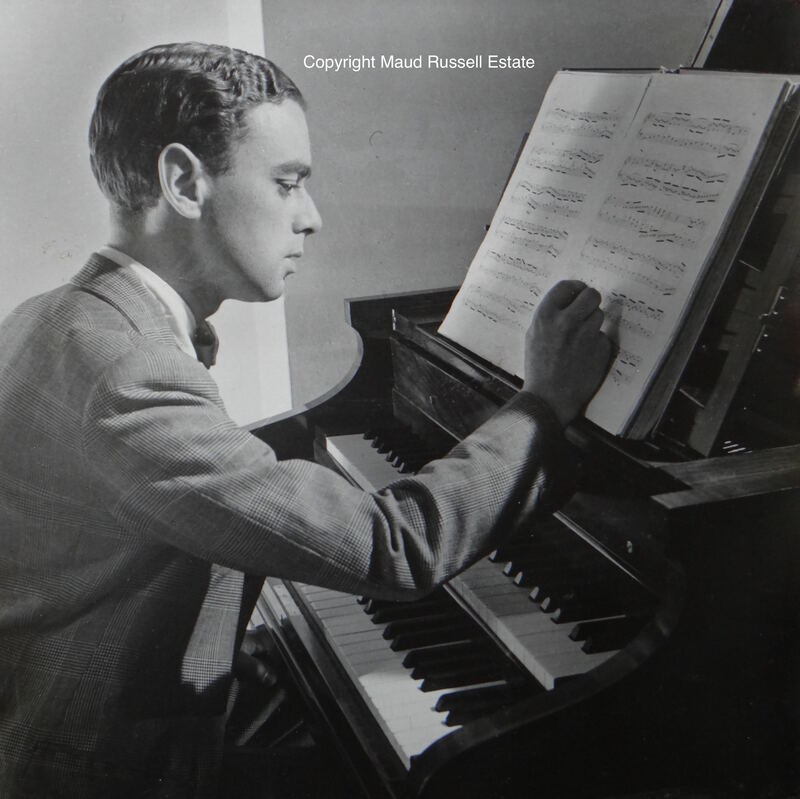 Raymond Russell (1922-1964) - a talented musician - was an avid collector and, despite his tragically short life, managed to amass one of the world’s most important and influential collections of historic keyboard instruments. Although much of his childhood and early adulthood was spent in education and military service away from home, Raymond kept keyboard instruments at Mottisfont: a Dolmetsch harpsichord and clavichord, and possibly a Pleyel harpsichord that he undoubtedly owned. Until recently there were few clues to this musical heritage at Mottisfont. 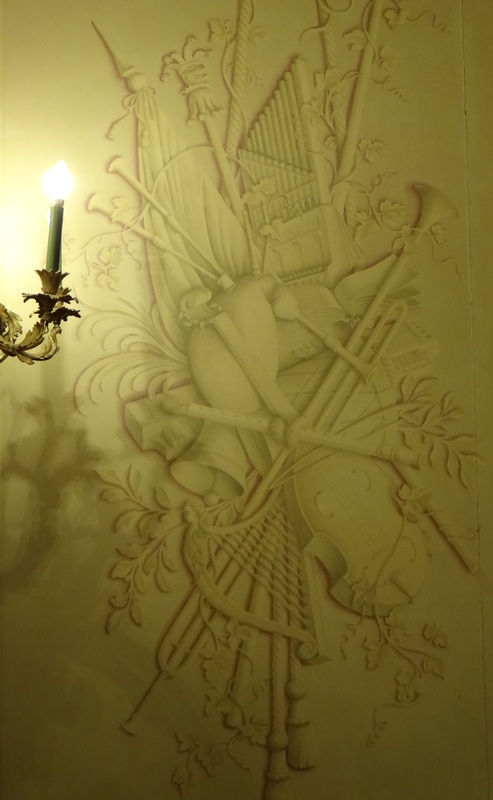 One exception, however, is evident in the famous trompe l’oeil panels in the Whistler room. The trophy dedicated to music consists of an ornate group of historic musical instruments – including two types of keyboard. Rex Whistler undertook this work at a time when Raymond was being home tutored; as a budding historical keyboard instrument enthusiast, Raymond may have had some influence on what was being painted. After Raymond’s death, at the age of only 41, Maud donated his keyboard instrument collection to the University of Edinburgh (in continuation of a process that Raymond had initiated). She retained two of Raymond’s most prized harpsichords for some time, perhaps as a poignant memento of Raymond’s life. At least one of these instruments was housed at Mottisfont for several years, attracting the interest of some of the country's most notable keyboard instrument makers and restorers. Alongside his collecting, Raymond’s activities as an advocate for the harpsichord had far reaching effects on the 20th-century history of the instrument. Althought Mottisfont has a fine art collection and a gallery that regularly hosts important visiting exhibitions, the musical history of the property had been little investigated before 2013 and was largely obscured in interpretation of the house. This gap in knowledge was identified during the house's project for reinterpretation of the site, Storyscape, a two-year consultation with volunteers and local communities that built on the property's narrative masterplan. The National Trust then initiated a collaboration to be steered by Professors Jeanice Brooks and Laurie Stras (University of Southampton), James Rothwell (Senior Curator, National Trust) and Louise Govier (General Manager at Mottisfont). The Making of the Modern Harpsichord project aims to document the development of the harpsichord in the 20th century, a period when it saw a great transformation both in popularity and building technique, with a particular focus on Raymond Russell’s role in its revival. At the beginning of 2014, with a Collaborative Doctoral Award from the Arts and Humanities Research Council (AHRC), two PhD students, Kate Hawnt and Christopher D. Lewis, joined the team to begin research, with Christopher focussing mainly on 20th-century repertoire for the harpsichord and Kate on Raymond Russell. Lewis, Christopher, 'The Harpsichord in Twentieth-Century Britain,' PhD thesis, University of Southampton (2017). An event at the 2015 Cheltenham Music Festival, where the project team presented their work with talks, live performance and videos to the general public. A talk at The Old Operating Theatre Museum, London, where Kate spoke about the life and collecting habits of Raymond Russell to the general public. Details of theses and further publications will be added to this page as they are completed. One of the key objectives of the project has been to keep staff, volunteers and the public at Mottisfont abreast of our research and effectively distribute information. First and foremost was to inform staff and volunteers of new details discovered about Raymond and the rest of his family. This has so far been achieved by giving regular talks as part of Mottisfont’s Knowledge Exchange programme, which programmes events to inform staff and volunteers of the latest developments in research, conservation and interpretation related to the property, as well as some training. 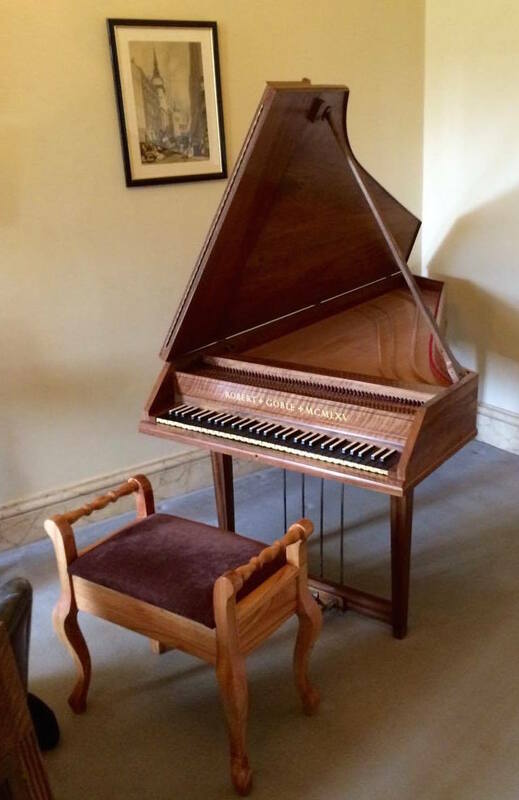 In the Boy’s Room at Mottisfont, we have installed a small single manual twentieth-century harpsichord (built by Goble & Sons) which is on long-term loan from the University of Southampton. Christopher ran several workshops to train volunteers on how to maintain the instrument and how best to demonstrate it to visitors. He has made a short instructional video and paper guide for future staff and volunteers to consult. The video also explains how this harpsichord differs from an historic instrument. Staff and volunteers alike have told us that there is a great deal of interest from the visiting public in both the instrument and the history of the harpsichord at Mottisfont. In October 2016 Christopher gave a harpsichord recital at Mottisfont of modern British harpsichord music. The main focus was the première of the British composer Lennox Berkeley’s Suite For The Harpsichord (1930). This piece was rediscovered, edited and published by Christopher as part of his thesis research. Kate has unearthed evidence of Lennox Berkeley visiting Mottisfont on more than one occasion; he and Raymond shared a mutual friend in Vere Pilkington, dedicatee of the Suite for Harpsichord, which links the piece nicely to the history of Mottisfont. The evening was co-sponsored by the Lennox Berkeley Society, and included a lecture from Kate about the life of Raymond Russell and the musical links to Mottisfont. The next phase opens in March 2018, and uses Raymond and his collection as the subject for a larger-scale interpretation that covers most of the downstairs of the property. Through Kate's research findings and interpretation ideas, the story of Raymond's developing collecting interests is told in parallel with his personal story and the difficulties he encounted in his short life. Music and harpsichords play a key role in the interpretation, with the addition of another harpsichord on loan from the esteemed builder Michael Johnson. Johnson visited Mottisfont during Maud's residence to maintain instruments she had retained after Raymond's death. One of these - Raymond's favourite, now in Edinburgh and known as the Goermans Taskin harpsichord - was key to developments in Johnson's own workshop, so it is fitting that one of his instruments should be highlighted in the interpretation. The interpretation also uses historic recordings to bring the sound of Raymond's instruments to life. 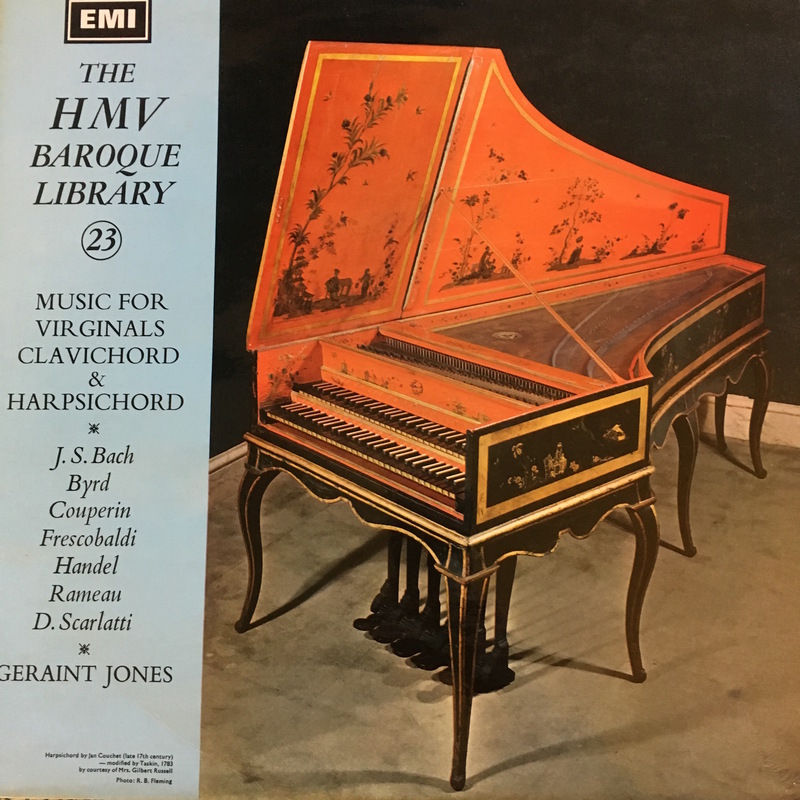 Kate’s research unveiled an HMV record made in 1967, featuring the Goermans Taskin harpsichord with Dolmetsch pedals, on the front cover, photographed in the Boys Room at Mottisfont (in the exact position the Goble harpsichord is now), where it was recorded to demonstrate the French Baroque part of the album. To have an historic recording made on such an important instrument is a unique musical feature for a heritage property.